Journalist Francisco Pacheco Beltrán was assassinated Monday morning in the city of Taxco, in the northern part of the state of Guerrero. The violent incident occurred around 06:30 hours on Monday, when Pacheco Beltrán left his home, located on Tlalchichilpa Street in the neighborhood 20 de Noviembre, and was attacked by gunmen, according to an official report. 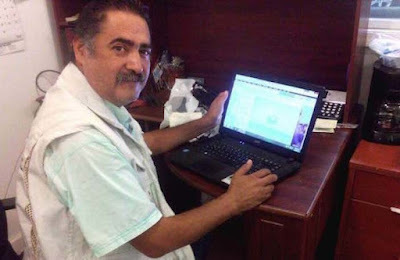 The 55 year old journalist and brother of Eric Pacheco, a correspondent for Proceso in Querétaro, died by the severity of his injuries while being treated by emergency workers in the place where the attack occurred. Francisco Pacheco was a longtime journalist and had a legacy in the state, he was currently the editor for the newspaper El foro de Taxco and worked as a correspondent for a newspaper that is published in Acapulco as well as a radio station in the capital. During the early hours of Monday, he was very active in social networks documenting and disseminating the violent events that occurred this weekend in the port of Acapulco, as part of his journalistic work. The crime of the Taxco journalist registers in a context of extreme violence in the state that has been minimized by the authorities, among them PRI governor Héctor Astudillo Flores, who recently asked reporters to take a pact of silence and not spread news about the reality that Guerrero is suffering through. Another sad story, may he rest in peace. When the PRI Governor tells u to do a pact of silence on reporting, it's time to pack your things and leave the country.